A new report from Janco Associates shows that blockchain positions remain unfilled as a dearth of qualified IT workers persists – and those who do have the skills remain in high demand. 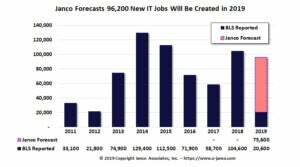 Mirroring an uptick in job openings across the IT industry, blckchain professionals remain in high demand, especially for staff and middle manager positions, according to a new job market report from Janco Associates, a management consulting firm that conducts regular industry surveys. 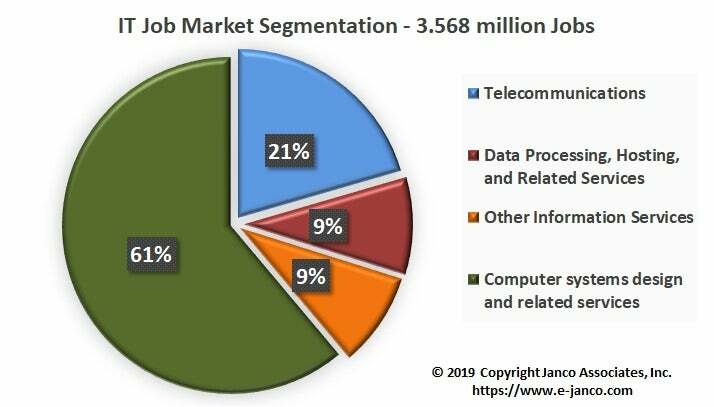 "With 20,600 new IT jobs created in the first three months of 2019, the market is tight," said Janco Associates CEO M. Victor Janulaitis. "There is a skills shortage, some projects are missing key early benchmark dates due to lack of staffing. Many blockchain and ERP positions remain unfilled and some organizations are seeing an increase in attrition rates for those positions." Companies that have found blockchain professionals are also experiencing higher attrition rates as consulting firms and services companies are actively recruiting IT professionals in those roles by offering higher salaries and benefits, according to Janulaitis. Salaries for blockchain developers range from $119,000 to $176,000, according several job search sites and Janco Associates. By comparison, software engineers earn an average of $137,000, according to Mehul Patel, CEO of the job search site Hired. "In our monthly discussions with CIOs and recruiters, we are seeing more frustration as it becomes more difficult to find qualified individuals," he said. "Everyone is concerned that as they fill positions the individuals are qualified and will remain with them for some time." 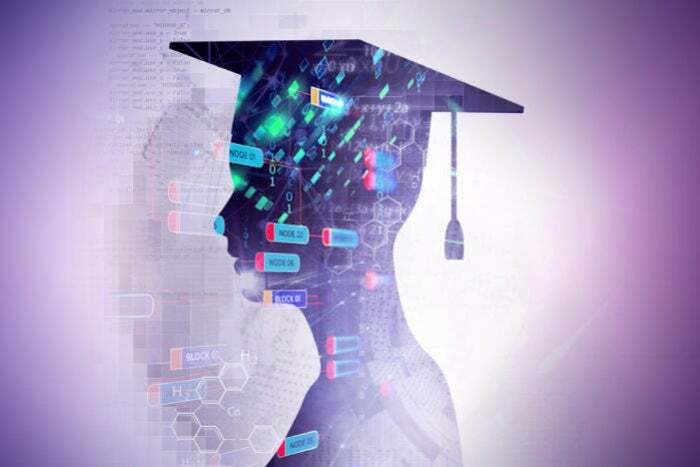 The IT skills shortage is not limited to blockchain and ERP professionals as programmers and business analysts of all stripes are also in high demand, Janco said. 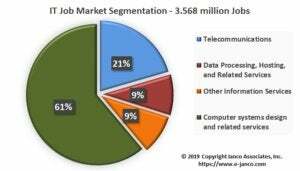 In 2019, 96,000 new IT jobs will be created, and blockchain will represent from 5% to 8% of them, according to Januaitis. In December, LinkedIn described the job position of blockchain developer as the No. 1 emerging job, and said the number of positions open had grown 33-fold over 2018. The top industries hiring are IT and related services, computer software and Internet firms. Earlier this month, Austin-based job search site Indeed listed the top 10 companies and regions for blockchain developers. Not surprisingly, the top three regions leading the nation in hiring were Silicon Valley, following by San Francisco-Oakland-Hayward, Calif. and New York-Newark-Jersey City. The top three companies posting the most number of blockchain job listings were Deloitte, IBM and KPMG. One reason for the sudden uptick in blockchain-related job postings is that enterprise projects have matured over the past three years, moving from proofs of concept in 2017 to pilots in 2018 to production systems this year, according to Arun Ghosh, KPMG's U.S. blockchain leader. "We have job postings at all levels, from entry all the way to blockchain architect with 10 years' experience. I can't give out specific numbers, but suffice it to say [job listings] are in the double digits across all the regions," Ghosh said.